We went down to the Boisvert’s house for a day of fun. 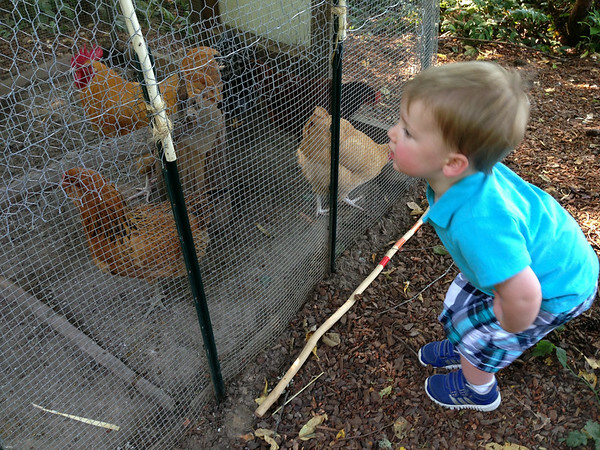 They recently built a chicken coop and Cooper couldn’t get enough of watching the chickens run around. Rob, Cooper and I all enjoyed Olive’s new zipline too. It was a day of adventure. Crazy to think just one year ago at their house Cooper stood up unassisted for the first time and said his first word “dog”. Nicholas was a super trooper enjoy some puppy snuggles and watching all the kids run around.